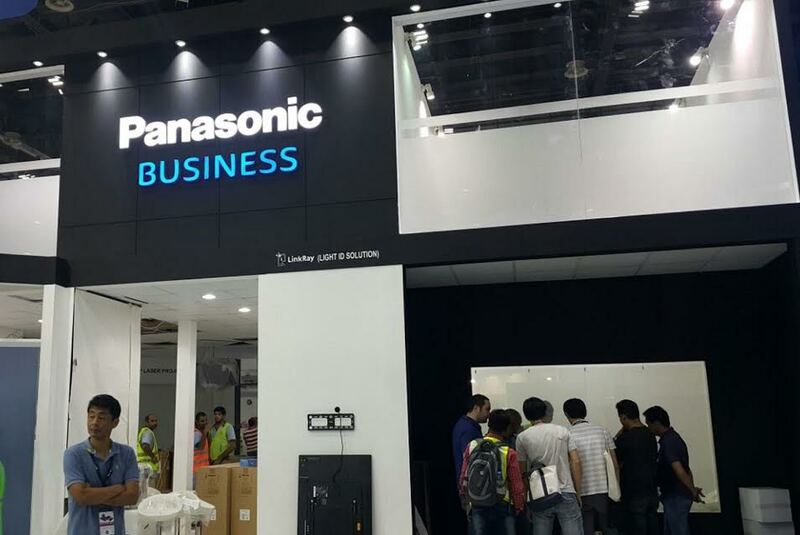 Dubai, United Arab Emirates: Panasonic Marketing Middle East and Africa (PMMAF) today introduced its latest range business solutions at GITEX 2016, which runs from October 16th to 20th, 2016, at Dubai World Trade Centre. Panasonic’s exhibit at GITEX this year will leave the visitors in awe of the path-breaking solutions that can potentially be the essence of their businesses. Key highlight of Panasonic’s exhibit booth is the newest innovative display solutions corner that will harbor an assorted collection of never-seen-before solutions like BalloonCamTM, Transparent Display, Transparent Screen, Windows AR Projection and Video Wall. In addition, the company will host an interactive session of product demos direct from the show floor. The key highlight of the show is the BalloonCamTM by Panasonic which is a prototype of a drone system – developed combining a drone with a large balloon. The BalloonCam(TM) can be used for staging various sports and events. Panasonic will continue to conduct demonstration experiments to bring this camera to market and to bring to life solutions that can be used to push the boundaries of event production by combining this camera with other Panasonic products such as projectors. Transparent screen utilizes Panasonic’s industry leading digital projection in a specially developed system that puts beautiful video images onto glass windows and doors on demand. The solution switches between transparent and screen modes allowing you to maintain transparent functionality as necessary and choose when to showcase stunning digital content for visual impact. The path-breaking transparent Display is a high quality signage that can switch between display and transparent modes. This latest introduced digital solution achieves high-definition picture in display mode and transparency in transparent mode. It enables innovative visual expression through overlaying of video and background. The innovative transparent film makes augmented reality possible with large size image projection and capability to overlay information or images on the display background. The film can be installed just by sticking on glass windows or doors. The new product line of ultra-narrow bezel video wall provides highly seamless image quality with the simplified operation for signage and information display and enterprise application. Some of the impressive features include a brightness of 700cd/m² and an IPS Direct-LED panel that provides uniformed wide color viewing performance with enriching color reproduction. The unit comes with a “failover and failback” function which maintains continuous signal distribution. Also introduced this GITEX is Panasonic’s Multiple Video Streaming System which transforms the image distribution methods of conventional surveillance cameras. Images from several cameras can be viewed at once on multiple devices. And the shared image can be controlled from each device. The revolutionary technology allows the images to be viewed from computers, tablets and smartphones. In large-scale facilities such as hotels and shopping malls, employees can oversee the entire premises using tablets and smartphones, to give customers the ultimate attention at all times. Security can also be provided for the entire facilities by using wearable cameras. Multi-images can be easily distributed by this through the security guards walking around the facility with a wearable camera. Similarly, at event venues, information panels such as displays can enable images of distant places to be simultaneously viewed to continually grasp their status. Panasonic’s projectors can shine out at any size events with features fit for stage events, hall, signage, and surveillance applications. The PT-RZ31K 3-Chip DLP™ SOLID SHINE Laser Phosphor projector series of 30,000-lumen-class products offers outstanding performance and reliability with the benefits of world-leading 3-Chip DLP™ imaging and DIGITAL LINK single-cable transmission of video and control signals over long distances, technology. Also, on display is Panasonic’s PT-RZ970 Series, which boasts 10,000 lm(Center) (9,400 lm**) brightness at up to WUXGA resolution. Aimed at rental, exhibition, hall, signage, and surveillance applications, the PT-RZ970 is engineered for maintenance-free long-haul operation. The compact PT-RZ970 and PT-RZ31K are most flexible to install and offer 360-degree cabinet rotation. Simple, expandable, and reliable, Panasonic’s AF1 Series flat panel displays have an Android-based OpenPort PLATFORM powered by a high-performance thinnest 4K2K-resolution, it features about four times the resolution of a standard HDTV. With the “world’s highest pixel density of 216 pixels per inch, these adaptive displays deliver your message with maximum impact now and in the future. The display offers off-axis visibility even in bright environments with a brightness of 500cd/m2 and IPS surface panel features. The new 2,000 lumens 1-Chip DLP™ Space Player laser projector is also on display at the Panasonic stand. This revolutionary DLP projector combines the functions of traditional lighting and video projection to create engaging, projected visuals able to support a wide variety of applications, by highlighting objects with light and moving media. Easy installation, adjustable projection angle and exceptionally long life, makes the Space Player a great solution to support specialty projection for retail signage, museums, restaurants and more. Panasonic’s informational digital signage and multi-language-support Light ID makes navigation easy for visitors by using their own smartphone running on iOS. Smartphones read ID signals sent by LED lighting that flickers on and off. By simply installing dedicated application software in the smartphone, Light IDs can be sent and received between Light ID transmitters (displays, LED signboards, etc., for digital signage use) and smartphone receivers. The latest Light SF1 is known for easier detection, all users have to do is point the smartphone camera towards an LED light source or the illuminated object, and the app will immediately recognize the Light ID even from a distance, eliminating the need to navigate through crowds to approach light source codes. It also features higher transmission rate, low interference, and location-free access. Panasonic’s cutting edge business communication solutions including HD video communication and compact IP- PBX system for the Middle East and Africa markets are being displayed at GITEX 2016. The company’s versatile communication solutions include the KX series HDVC, which offers dual network capability, a control unit for multiple site connection and new Smart Hybrid IPPBX for SOHO (Small office/ Home office) businesses as well as Business Communication Server, UC Pro, and Wireless Video Intercom System. One of the main highlights at the company’s communication solutions category display is the latest version of Wireless Video Intercom System, which is highly reliable and expandable up to 7 monitors. The door phone features a wide –angle camera lens that covers not only horizontal but vertical images as well. The system also offers a high level of flexibility with a wireless monitor. To offer improved work efficiency to its customers, Panasonic has also put on demo its latest range of scanners which offer an endless list of benefits to the users such as low maintenance, cost efficiency, high-speed & high-volume scanning, dual scanning, reliable feed and much more. Panasonic is also showcasing its latest mobile business computing solutions at GITEX 2016, including the world’s first rugged detachable laptop CF 20, as well as the light weight and slim CF-MX4, which features a sleek and rugged body. Designed to meet the evolving needs of enterprise customers in the region, Panasonic’s new mobile computing solutions are engineered to withstand drops, spills, dust and grime, not to mention optimal performance in the harshest environments.